Charcoal vs Gas Grills: Which Is The Best Grill To Buy? 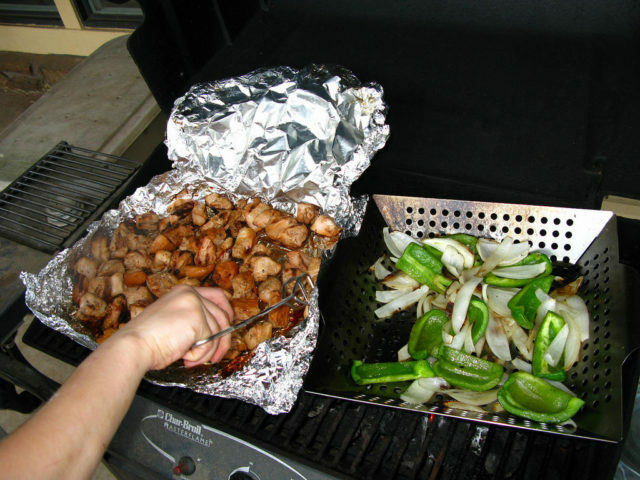 Charcoal or gas (liquid propane or LP), which is your fuel of choice when you want to grill out back? If you’re like me, you’re grillin’ and chillin’ every chance you get. I generally cook on the grill throughout the year — rain, shine, cold weather — it doesn’t matter. Charcoal and gas grills both work throughout the year, right? So why not crank it up and enjoy a flame-kissed burger, caramelized fruits or veggies, or even a nice, thick steak? How much time do I have to get dinner on the table and how much trouble do I need to go through to accomplish that task. I tend to keep in mind the length of time needed with the least amount of hassle. Sure, I can keep re-loading my chimney full of charcoal briquet’s and adding them to the grill but that’s more trouble than I’m willing to put out for the majority of foods I want to slow-cook. I simply go to the gas grill for those types of foods and smoke them with wood chips, if so desired. You can do a good job of it with charcoal but you can do an excellent job of controlling temperature with gas. Will spices and heat alone do the trick, or do I need a char-grilled flavor to get the job done? Have I forgotten anything? How about you? Which do you prefer: a charcoal grill or a gas grill?